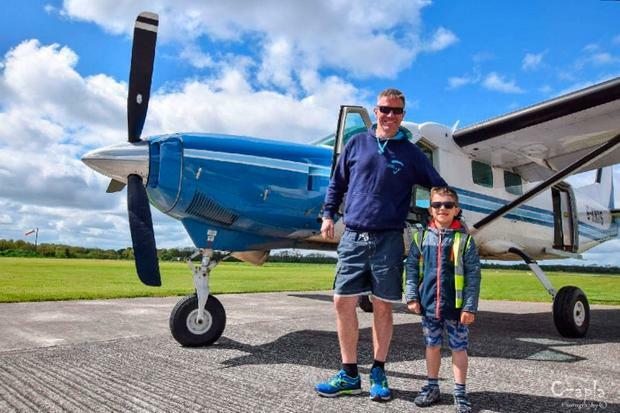 More than €26,000 has been raised for the families of seven-year-old Kacper Kacprzak and pilot Neil Bowditch, who were killed in a plane crash in Offaly on Sunday afternoon. A GoFundMe campaign, set up by Irish Parachute Club member Allaiouti Hassan, said they are heartbroken by the loss of "two cherished members". "This is a difficult time for us all," he wrote. "I know that our skydiving family and the wider community want to come together and do what we can to support the families affected by this tragic accident. "I myself have a son the same age as Kacper who loves planes. Having met Kacper at the club I know he was such a beautiful boy who would touch anyone's heart." Mr Bowditch, known as 'Billy', has also been described as a "true gentleman and a thoughtful and great pilot", by Mr Hassan. 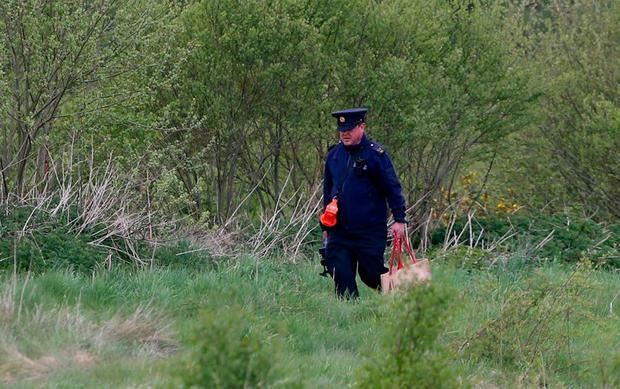 A garda leaves the crash site on the outskirts of Clonbullogue, Co Offaly, yesterday. Photo: Colin Keegan, Collins Dublin. The plane, which crashed near Clonbullogue, nosedived straight into a forest and submerged itself around 15ft deep into bogland. Seven-year-old Kacper and Mr Bowditch were killed minutes after 16 parachutists from the Irish Parachute Club successfully made a jump. The young boy's father Kris was one of those who jumped from the aircraft. Investigations are continuing into the crash, as the victim's loved ones attempt to come to terms with the tragedy. Mr Bowditch was an experienced pilot from the UK and was a regular at the Irish Parachute Club. His local skydiving club in Wiltshire paid tribute to the pilot. "No words are adequate to say how devastated we are at the loss of the lovely Billy over the weekend. "He was larger than life, funny, reliable and a friend to everyone here at Netheravon. A great pilot and a mean skydiver! One of the best. The DZ will never be the same without your cheery whistle and grin Billy. The office is a quieter and sadder place today." Kacper's primary school in Huntstown, west Dublin, described him as a "happy, smiling young boy". "Kacper was always enthusiastic and interested in learning," said Sacred Heart of Jesus NS principal Kieran Lyons. "He will be fondly remembered and greatly missed in our school by pupils and staff alike." The principal also stated that the primary school had implemented its critical incident management plan to provide support for staff, pupils and parents in dealing with the tragedy. Meanwhile, the parachute club at the centre of the tragedy was involved in five serious incidents over the past decade, according to reports from the Air Accident Investigation Unit. In the most recent incident, on August 8, 2015, a 21-year-old student skydiver was forced to land using a reserve parachute after his main parachute canopy became snagged on the stabiliser of a Cessna 182L at 3,500ft as the aircraft suddenly pitched upward, forcing the pilot into a 'spin recovery' at 1,000ft. In another incident, three years earlier on August 18, 2012, a veteran tandem parachutist thought he was going to hit a house and/or sheds before clipping some trees as he came in for a "very hard" crash landing when both of his parachutes failed. The 52-year-old tandem master then warned his 21-year-old student to prepare for a very hard landing when both of their main and reserve parachutes malfunctioned at 5,500ft. Both were seriously injured. Three years before that on March 15, 2009, a pilot ordered five parachutists to jump minutes before a Cessna 206G Stationair crashed into a field when the aircraft lost partial power at 9,000ft when it ran out of fuel. All survived the crash but the 29-year-old aircraft suffered substantial damage. The Irish Parachute Club was contacted for comment.